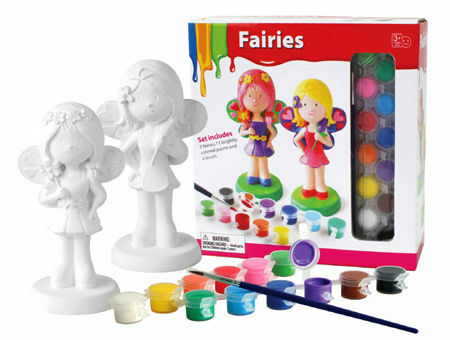 Craft Paint & Design Two Clay Fairies is a wonderful set which includes 2 x white clay fairies all ready to be painted. Size: box is 21cm x 7cm x 21cm, Fairies are approx 16cm tall. We like this because: "Simple fun and a great gift to give the grandparents when it is finished."